The Minimus trousers and socks are amazing. The combination of weight, compressed volume and insulation properties is outstanding. 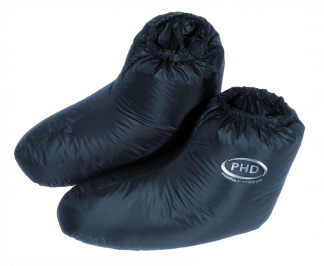 Ensure warm feet inside your ultralight sleeping bag. Extra warmth inside cold tents. A little extra for mountain bivouacs at any altitude. Packed at 10 x 18cm (and squashable) they'll fit anywhere in your sac. The 'comfort-value' of this tiny package is out of proportion to its weight. "The socks are AMAZING and I am so delighted with them. 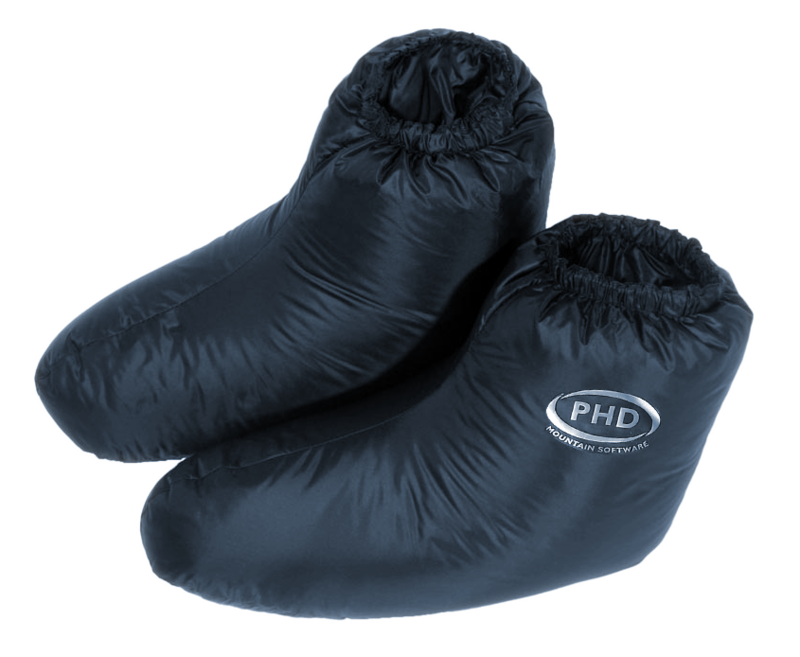 Thanks and kind regards to all the team at PHD for your EPIC products." "The solution to cold feet."